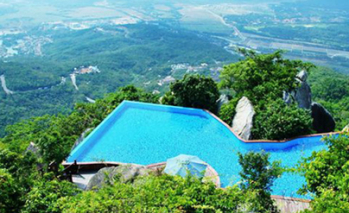 For most travelers, Sanya is a noted tourist resort with mountains, rivers and the best seaview. The favorable climate is hot in summer but warm in the three other seasons so attracting large numbers of followers from both home and abroad every year. The whole city is related to the sea. 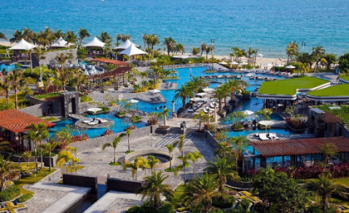 Here you can enjoy a unique tropical oceanic landscape that is totally different from the other provinces of China. 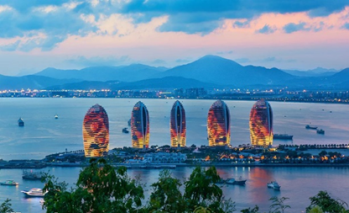 Sanya Bay, Dadonghai and Yalong Bay all golden seaboards of Sanya, are some of the first choices for visitors to spend their holidays. Instead of a busy and exhausting journey, you can relax totally here by strolling along the beaches and breathing the fresh air. 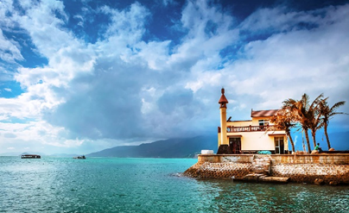 If you are an enthusiast of exciting water activities, Wuzhizhou Island is your place to challenge the mysterious and changing sea. Additionally more than 20 ethnic groups including Han, Li, Miao, Hui inhabit there becoming a wonderful place to appreciate the various cultures of China. In Binglanggu Li & Miao Cultural Heritage Park and Yanoda Rainforest Cultural Tourism Zone, you can fully experience local ethnic customs.